Based on surveys of chief administrators and human resource directors in 33 states, a survey of nearly 3,000 state-government job seekers, and analyses of over 14 million public sector job postings, NASCA’s research — compiled in a report titled Job One: Reimagine Today’s State Government Workforce — indicates that there is a “widening gap” between the number of open jobs and the number of applicants. According to the report, chief administrators and HR directors find “difficulty attracting new employees” as the top workforce management challenge. When respondents were asked which trends have the greatest impact on their workforce strategy, nearly two-thirds (64 percent) of state administrators cited a “growing skills gap,” indicating that recruiting the best talent, with the right skills, is a top issue for these leaders in state governments. NASCA’s research also identified several factors helping to widen the gap between the number of state job openings and applicants for those positions. They include: changes in workforce expectations, especially the reduced appeal of “lifetime employment” among younger generations; less-competitive salaries; rising competition from the private sector; and negative perceptions about working for government. Reshaping recruiting: rethink job descriptions, emphasize training, and improve the branding for public service. Transforming the employee experience: improve onboarding, automate recruiting, modernize performance evaluations, and get serious about succession planning. State department of transportation executives noted in recent meetings that just getting more public attention to such workforce issues is a critical first step on the road to finding solutions to them. Workforce development is one of three key emphasis areas for Carlos Braceras, executive director of the Utah Department of Transportation and the 2018-2019 president of the American Association of State Highway and Transportation Officials. In terms of workforce development, Braceras said the current robust economy and low unemployment rate are making it difficult for state agencies to compete with the private sector for engineers, technicians, and information technology professionals. 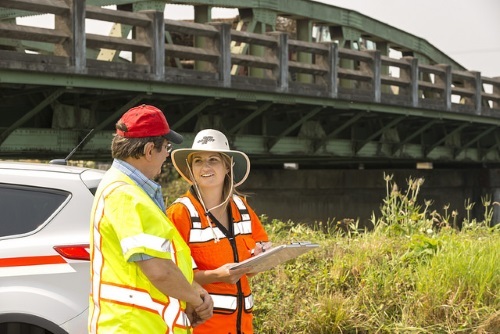 “State DOTs must attract and keep these workers to build, maintain and manage America’s increasingly sophisticated transportation networks,” he stressed.